.The Easy Spanish Level I (from Great Commission Languages) is a whopper of a book at 414 pages and 2 Cd's. Using this foreign language program for 36 lessons, following each portion of each lesson, WILL give your student the tools they need to speak Spanish (and by that I mean they can actually communicate with those whose native tongue is Spanish). Acts 15:31 (New Living Translation) reads ~ "And there was great joy throughout the church that day as they read this encouraging message." Since the purpose behind this blog is to encourage moms who homeschool, the above verse from Acts is fitting to post today. And since tomorrow is the first Sunday of Advent, I thought it was fitting to blog about something truly encouraging - the coming of our Savior Jesus Christ. I'm often encouraged by articles in homeschool magazines, blog posts from my fellow homeschooling moms, Sunday morning sermons, and weekly small groups. But the most encouraging thing that has ever happened for the whole of mankind was the birth of a tiny baby in a dirty stable, surrounded by animals and wrapped in swaddling clothes. I've been reading in Ezra, and the Lord has been speaking to my heart about being open not only before Him but also before my brothers and sisters in the local church. I know you may be wondering how I got that from the book of Ezra..hang on, I'll connect the dots. I think there might be a "trend" in the church today, and maybe it's primarily a trend within the church in America, but the tendency toward "handling things on our own" seems to be increasing. 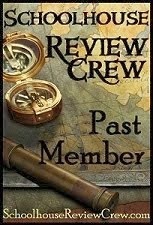 TOS Crew Product Review ~ Read Naturally - Read Live! Read Live (from Read Naturally) is a comprehensive set of research-based programs that assess reading while engaging students. It is a motivating curriculum that supports fluency, vocabulary, comprehension, and phonics. The above words can be found online at Read Naturally's description of Read Live, and I must say, the above words are accurate and true. Read Live is a web based reading program that improves students reading ability along with their self-confidence. Yes, it's hard work, but most anything worth doing is. My advice for all homeschooling moms this Thanksgiving is simple: DO NOT FALL INTO THE DO-IT-ALL TRAP!! It is a trap lying in wait for all homeschoolers. We set our sights too high, plan too much, work ourselves to the point of exhaustion, get snippy with our husbands and children, and end up frustrated and worn out. Wondering how I know this? Or have you already figured out I am a born over-achiever and I've had to learn a few things the hard way?! Here I sit, typing away, drinking coffee from a bright orange mug with the words "Wheaton College MOM" emblazoned on the side. With my oldest in an excellent college, I must say I feel pretty confident about the future of my four younger children. During my son's last two years of high school, I thought I'd learned pretty much all there was to know about the college testing process. 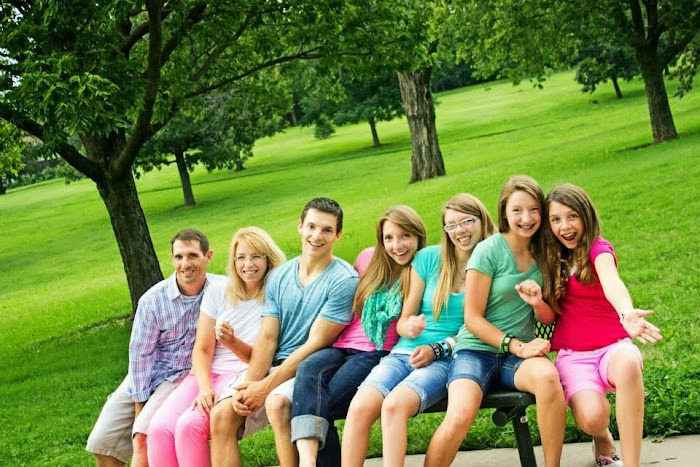 As a homeschooler, there are often extra hoops to jump through when filling out college applications - and since my son chose to apply at academically strong schools that don't accept a high number of homeschooled students, I found myself working over time in the position of guidance counselor. Today is Veteran's Day; it was previously known as Armistice Day. On November 11th, 1918 at 11am a cease fire fell into place, thus ending the First World War. One year later, President Woodrow Wilson signed into law the federal holiday of Armistice Day, and all business commerce stopped for 2 minutes at 11am. In later years, following World War II, the federal holiday became known as Veteran's Day. It's an excellent thing for a country to honor those who have died to ensure freedom for it's citizens. It's also a good thing to remember the origin of this national holiday. By all means, as the wife of an Army officer, I am thankful that his service is remembered on this day. But as a homeschool mom who loves history, it's also important to me that we remember those who fought in the Great War, and who most immediately benefited at 11am on November 11, 1918. First impression upon opening the package I received from Memoria Press: WOW!! They sent me the whole shebang! Second impression upon opening the package I received from Memoria Press: WOW!! They must not know how un-confident I feel about teaching - gulp - Latin! Will I REALLY Be Able to Homeschool Through High School?! Yea, it's a scary concept. But if you take a moment and remember when you first began to considering homeschooling, you'll recognize the same emotions. Remember how you felt about teaching your child to read? Or teaching them to write in cursive? How to form a complete sentence or perhaps a paragraph? The scientific method? How to type and use the Dewey decimal system and the history of Ancient Egypt? All those concepts seemed pretty daunting, and yet you were able to keep your head and teach your children. High school is much the same - I promise! Reviewing the product "English 1 - Introduction to Literature" from the Excellence in Literature series by Janice Campbell has been an absolute delight for me. 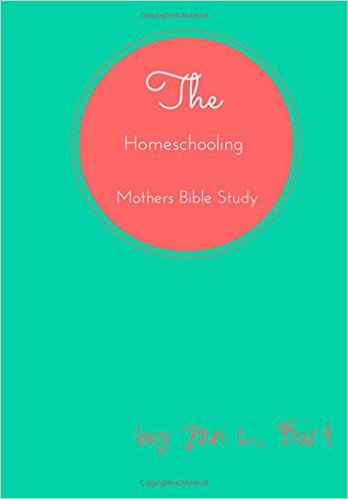 Having used her products and subscribed to her e-zine for several years, I can attest to the fact that her products are quality curriculum and her wisdom is invaluable to homeschooling families - particularly those with students in high school. George Washington Carver was a man of such character that his life is studied as an example some 68 years after his death. Yes, he was a brilliant scientist. Yes, he was also a wonderful teacher. But the reason we, as human beings made in the image of our Creator, are drawn to George Washington Carver is truly due to his character. And the character of Mr. Carver cannot be separated from his concept of God Almighty. I say all that to tell you about a product I received (free of charge for review purposes) from Marshall Publishing ~ a DVD entitled "George Washington Carver - His Life and His Work". This 30 minute DVD gives viewers a overview of the unique and fascinating life of George W. Carver beginning in his childhood and continuing until his death in 1943. Of course, 30 minutes is not sufficient to examine all of his life - but 30 minutes is enough to pique a student's interest and is a terrific place to start a study on the life of George Washington Carver. Here it is, another weekend filled with errands, youth group events, yard work, church and small groups, and of course homeschool preparation for the coming week. The question I'm asking this weekend has to do with penmanship. How important is it in your homeschool? What programs, curriculum, or methods do you use? Are some of your children simply neater than others, or have you been able to obtain a standard measure of neatness from all your children? Let me hear what you have to say about penmanship by leaving a comment. I can hardly wait to read your advice! Gee, as a homeschooling mom who now has all girls at home after sending our only son off to college, I was shocked when receiving a girls only product to review! In all seriousness, I was very happy to see a safe, educational website specifically designed with young ladies ,ages 7-12, in mind. Always Icecream is appealing to me as a homeschooler because of the diverse educational content (language arts, basic & advanced math, geography, history, music, art, foreign languages, computer skills and religious eduction). Using games and videos, Always Icecream is a great supplemental curriculum option. As a mom Always Icecream is appealing to me because it's safe, free of advertising, and blocked to search engines. The site is certified by Privo and is subject to moderation, and user information is never sold; my daughter's safety is taken seriously and that is very important to me as a homeschooling mother. Has He Proven It to You? God makes us a spectacular promise when He says that all His promises prove true (see Psalm 18:30, Romans 3:4, and 2 Samuel 22:31). This isn't a promise made only to the Israelites, or one that is found only in the Old Testament. It is a promise that encompasses all of the Bible and all believers, and as such it is one we can take the spiritual bank to cash with full expectation that it will "clear"! Yes, I realize that in essence I'm claiming that God promises that His promises will prove true. And I get that you may think that's an odd concept, or maybe that I'm talking in circles or have put my thought processes in a blender and what came out what this blog post. But I really do believe that God's amazing promise to us that each and every one of His promises is true and can be counted on is one of the most important spiritual truths we can grasp. General John J. "Black Jack" Pershing was a one-of-a-kind leader who saved Europe in a one-of-a-kind war. The book "Pershing ~ Commander of the Great War" explores the entirety of Pershing's, culminating in an understandable review of his leadership during the First World War. For a man who never intended to become a soldier, it is a great irony that he became the only U.S. General awarded the rank of General of the Armies during his lifetime - the only U.S. General to ever own the rank of 6 stars (though in humility he never wore 6, only 4 gold stars in an adaptation the traditional 4 silver stars of a full general). Right about now you might be wondering, "What's a Scruble Cube?". Don't worry, I wondered the same thing when I received one (free of charge for review purposes). Turns out, a Scruble Cube is a fun educational game that is something like Scrabble combined with a Rubix Cube. The cube itself is 4 inches by 4 inches, and has 16 squares per side. Each square has a sticker representing a letter or other game play information on it (like 2x word score or 4x letter score). Along with the game cube itself, I received a score pad and a sand timer. And lesson plans encompassing science, language arts, mathematics, English and spelling for grades 3-10 are available at the company website, www.ScrubleCube.com. When you visit the website, check out "Getting Started Tips & Tricks" - it's a great way to learn all about the Scruble Cube. And should you run out of score sheets, there are more online in a printable pdf format along with replacement directions. Today's calendar reads "Monday, October 3rd, 2011". Umm, what?!?! It's already October?? Anyone else a little surprised by the rapidity of this year's passing? Beginning a new month often leads me to think about what has taken place in the previous month. For our family, September was pretty eventful! And praise the Lord, He was faithful to bless us and sustain us through each and every moment of September. My son had just begun his freshman year of college when we received a text message telling us he had ruptured his Achilles tendon on his left leg. OUCH!! Since he was in a brand new community 12 hours from home, and is on a campus that doesn't allow freshmen to have cars, I loaded up a rental car and my youngest daughter's homeschool work and headed northeast for Gage's surgery. He did fine and has been making a terrific recovery, praise the Lord. Soon I returned home to Wichita, Kansas and to life as "normal" (whatever that means).